The equipment used in the commercial laundry business ranges in age from old and primitive to new, state-of-the art machinery. We recognize that capabilities and efficiencies change for each machine. Many plants don't have in-house maintenance programs and/or mechanic, and must rely on external vendors to fix any machinery issues; this tends to be significantly expensive, and adds up over time. Additionally, plants are required to keep a detailed record of all machines with information including issues resolved, parts used to fix equipment, dollars spent and labor utilized.For us at Spindle, age isn't an issue. To date, a machine's age has never been a barrier to integrating our software to further optimize operations and provide the necessary insight into equipment effectiveness. 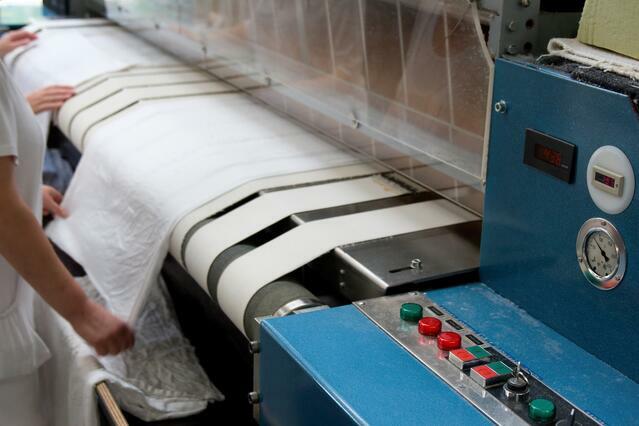 During a team call, a Regional Director from one of our large corporate laundry facilities, mentioned that unreliable equipment was having a negative impact to their overall P&L. The installation of a Spindle productivity tool allowed the tracking of the actual pieces processed per hour as well as the monitoring of downtime on a piece of faulty equipment. Faulty or poorly maintained equipment has the potential to cost plant hundreds of thousands in opportunity dollars each year. It can also adversely affect the quality of a finished product. It has been proven in this plant that the installation of a productivity tool has reduced the amount of wasted downtime spent during equipment breakdowns. Contact us to Discuss How Spindle Can Positively Impact Your Facility's P&L! Want to read more customer success stories? Visit our Knowledge Center and be sure to subscribe to receive all Spindle Updates!